The quality in your translation service can be the difference between success and failure. At YourCulture you can be assured your translation will be accurate, professional and delivered on time. Whether you need a simple one page document translated or a complex technical journal YourCulture can help – Our translation services are cost-effective, simple to use and of the highest quality. If you would like a quote for translation then please call 0203 951 0045 from the UK or +44 203 951 0045 from abroad. At YourCulture our linguists know there’s more to professional translation services than mere words. We have the ability to provide specialist translators in different areas of expertise including legal, technical, commercial and scientific translation services. 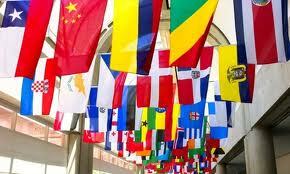 With experienced, native linguists in over 200 languages we are certain YourCulture can meet your translation needs. For more information about our specific translation services click on the relevant sections below, or if you want to talk through your requirements then call +44 203 951 0045. Free Translation Service – If you just need to get a few words translated, or get an approximate translation then use our free translation service. Our translation services cover the majority of languages – A example of some of the languages we can translate to and from is listed below – If the language you need is not listed then please still call ++44 (0)203 951 0045.